This storm occurred less than two months after the disastrous wind storm on December 20, 2018, which left 750,000 BC Hydro customers without power, with many left without electricity for multiple days. 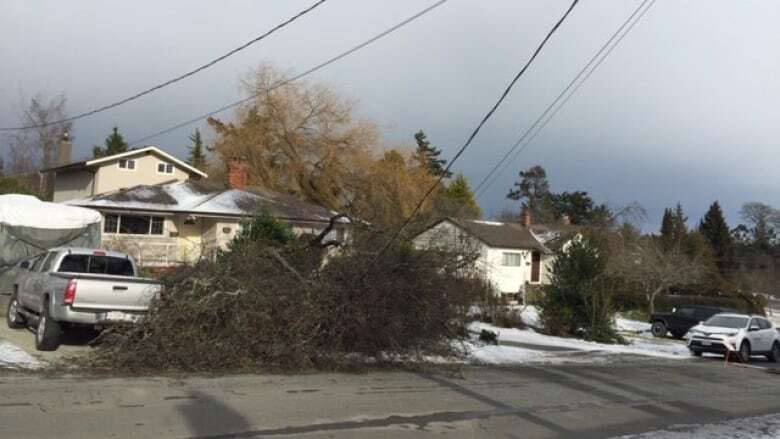 Wind gusts hit up to 90 km an hour, bringing down powerlines across the Lower Mainland, the Fraser Valley, the Sunshine Coast and on Vancouver Island. Just as the Island starts to recover from this week's cold snap, Environment Canada has issued another snowfall warning Sunday. The Metro Vancouver area was subject to a special weather statement, with the national forecaster predicting a weaker storm. Environment Canada is asking the public to be ready to adjust their driving with changing road conditions. There is also a possibility of up to 10 centimetres of snow falling in B.C. 's southwest.